The second CONVIVE-NATURA day of the CONVIVE LIFE project took place on 19 November, putting an end to the action of dissemination of the same name. 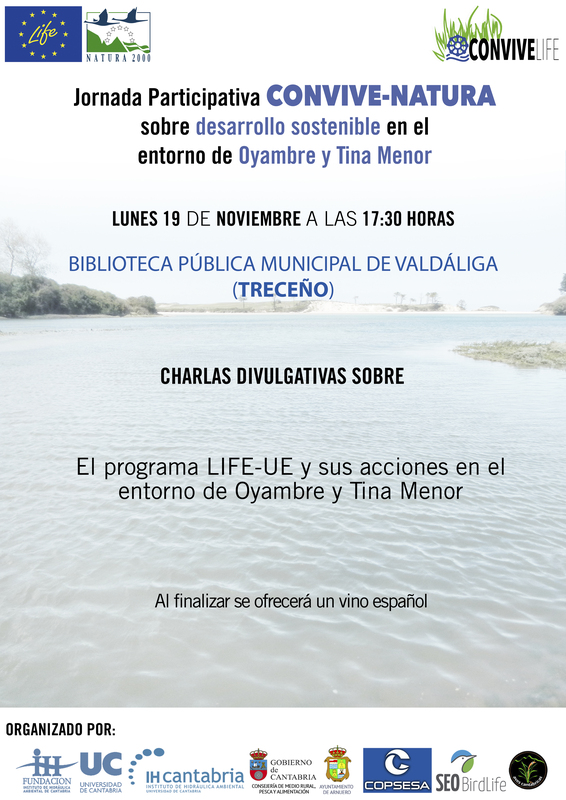 The conference, aimed at users and agents of the Natura 2000 space “Rías Occidentales y Duna de Oyambre”, took place in the Public Library of Treceño (Valdáliga). Representatives of IHCantabria, Cantabrian Birds and COPSESA presented to the attendees the main actions being developed around the estuaries of Oyambre and Tina Menor and answered all questions from the public. The subsequent debate centred on the restoration of the project associated with the removal of the Captain’s Dike (Oyambre estuary), which will restore the hydrodynamic conditions of the estuary and favour the control of the invasive species Baccharis halimifolia, which currently colonises the interior of the Captain’s estuary. The action will also make it possible to recover habitats of Community interest whose potential habitat had been occupied by this invasive species.